In this edition of Retailer Scope, the Matr Boomie team had the privilege to explore the topic of visual merchandising with Jeri Webb, Retail Consultant and former Museum Store Director at The Field Museum in Chicago, IL. As a consultant, Jeri assists clients with all aspects of retail store operations including store design and merchandising, product sourcing, staff development, and financial coaching on achieving positive cash flow. 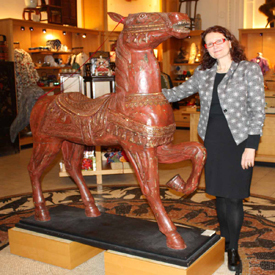 As Director of Museum Stores for ten years at The Field Museum, Jeri led a staff of 50 to oversee all functions of nine stores including permanent, temporary exhibition-related, and online locations. 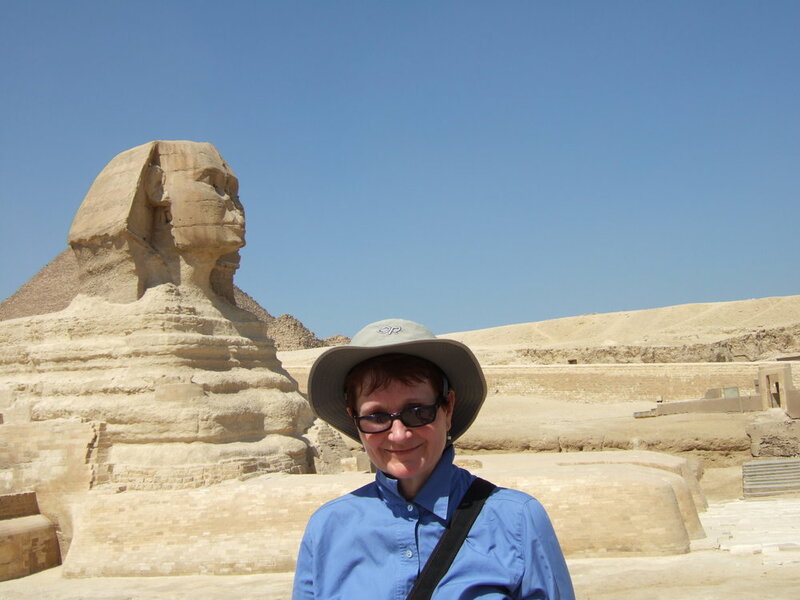 She traveled nationally and internationally with direct buying responsibility for cultural gifts, jewelry and accessories, and development of Field Museum branded products. Read on to get Jeri’s perspective on how to keep your store visually engaging, what you should look for in a wholesale partnership, and more. At the Field Museum, you’ve sourced items from all over the world. How do you determine whether or not certain products would be a good fit for your store? For the Field Museum Stores I always started with the Field’s incredible 26 million-piece collection. Ranging from the world’s most amazing cultural artifacts to ancient fossils, dinosaurs, and extinct animal species, the collection always held the creative sparks to inspire our stores’ merchandise. Whether I was buying for a temporary exhibition store that might feature a subject like chocolate or for our permanent 6,000 square foot main store, there was always a story to tell. Key considerations for any merchandise mix included who the audience would be: did we need something for everyone, or for the very finest collectors, or for the thousands of children who visited the Museum every year? How could we inspire people to shop and in turn support the Museum with their purchases? If we had a temporary store, how could we insure that there was as much wonderful merchandise for the last customer on the last day of the exhibition as there had been when the store opened? And once that temporary store closed, how could we seamlessly blend that merchandise into one of the other nine stores without making it look forced? Every product under consideration was reviewed for the normal standards of quality and price, but we went further to determine to make sure that it added to the story that we were there to tell. What is the biggest challenge you have faced when it comes to running a handmade/craft goods retail business and how do you overcome it? Authenticity and quality are always the gold standards for handmade and craft goods in any store. Finding good design in the modern world is always just a click away, and unfortunately it’s easy to turn those good designs and materials into fast fashion that’s made cheaply and without regard for the artisans’ fine work. Supporting artisans in their home communities and making sure that they are fairly paid for their products should always be the goal for any store that sells handmade. Always consider the company that is wholesaling to you: do they promote the people who are making their products? Do they share the story of how their products are made, what materials they use, and how they find/grow/process those materials? Do they help to educate their retailers so that they in turn can educate their retail customers to spread awareness of fair trade? These points should all be presented front and center of any company’s catalog, website or booth at a wholesale show. Shop carefully and know your wholesale sources. When there are a wide variety of products, what is the most important aspect of successful merchandising? A visit to a store always needs to be a journey that makes sense to the customer. As people enter the store, there should be a focus that will keep leading people through the space, increasing the dwell time, keeping them shopping and exploring everything you have to offer. There is also a fine balance between making your entire merchandise mix look cohesive and having it look so uniform that people get bored and stop shopping. I recently consulted on a store that had been open for about a year. While the merchandise taken piece by piece was good-looking and well-priced when you looked across the store all you could see was a blur of black and white objects. Nothing stood out and demanded to be noticed. There was no focus towards the back wall, there was no clear path leading to a wow section that would lure the customers along the way. How do you go about creating a special experience for your customers? It’s that sense of discovery that people find so attractive, that hunter-gatherer spirit. We are so bombarded with information in the world today, so much so that new and truly unique experiences are treasured by the public. Training your staff to really know their merchandise, where it comes from, who made it, and how it was made is critical for any great retailer who wants to sell craft and handmade goods. Customers are hungry for the stories of culture, for links to other people who face similar struggles in everyday life and in expressing themselves through their designs. It starts with the wholesale company inspiring the retail buyer, who in turn passes that information and joy onto the staff, who then excite the store’s shoppers. And when those shoppers share their excitement with their friends and family, your store’s customer base grows. Is there one easy thing that retailers can do right now to increase sales through visual merchandising? Change your displays regularly! Move fixtures, swap out the merchandise that’s on them and create new themes. For example, as we head into the fall and winter, think warm cozy colors to inspire shopping for handwoven textiles, teapots and cups, and scented candles. For the holidays create a shop by price, grab-and-go section, or mix textured handmade ornaments in with gifts for men, women, and children. Make the change regularly during slow days so that when busy weekends arrive, you are prepared to show even your most frequent shoppers everything that you have to offer.